Valentine’s Day is just around the corner, and once again we will witness people make sweet gestures to those who are special to them. But why wait for that single day of the year to do such gestures when you can do it for the rest of the 364 days? But then again, to people who are always expressive about how they feel toward their partners, families, and friends, celebrating Valentine’s will only mean going out of the usual and going the extra mile for their loved ones. 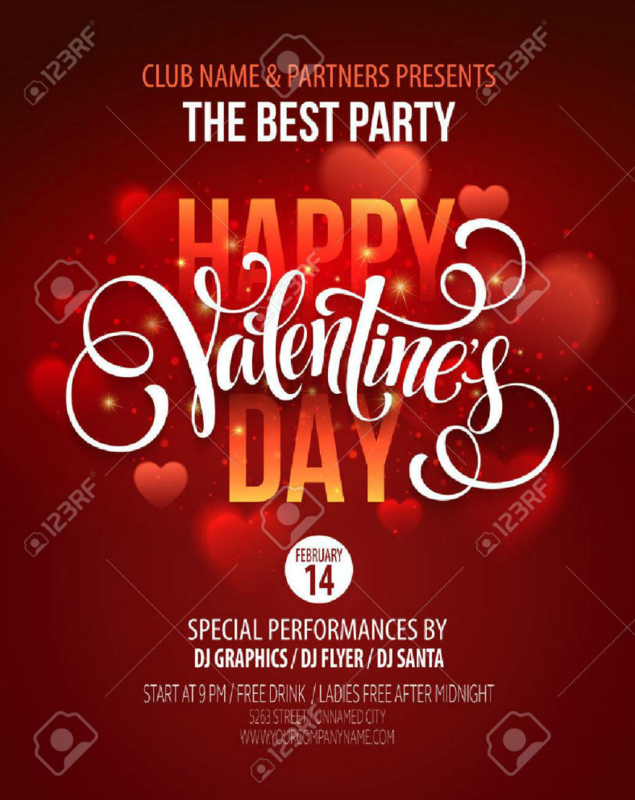 If you are planning a Valentine’s Day event just in time for the occasion, you may want to consider sending out invitations to formally invite people. 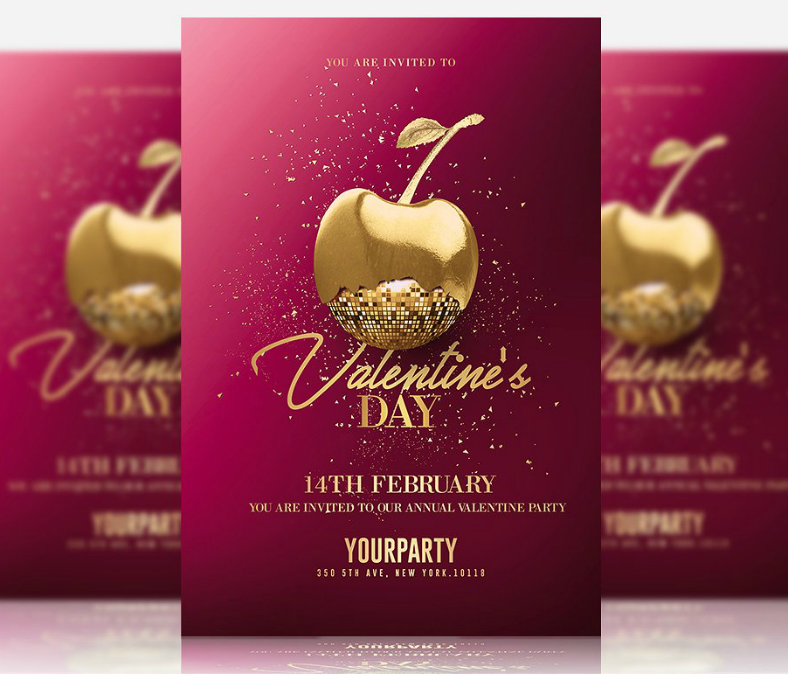 To save you the trouble in having to look for designs that you can use as basis from multiple websites, we have gathered some of the best Valentine’s Day invitation designs here for you. To get you started, check out the various designs below. 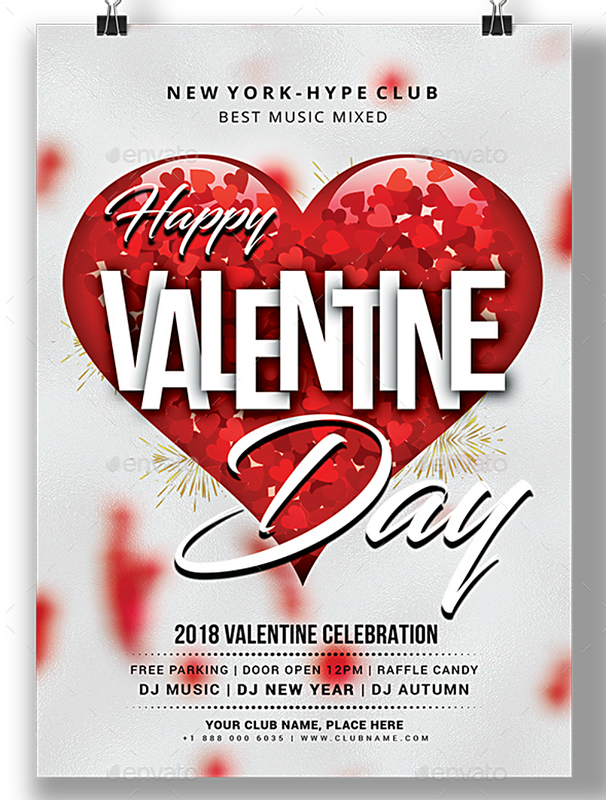 Check out the first Valentine’s invitation design on this list, which is a perfect pick for those who are planning on putting together a party on or before the day itself. This lovely formal invitation design makes use of a floral and a polka dotted background with the textual elements written over a white text box. 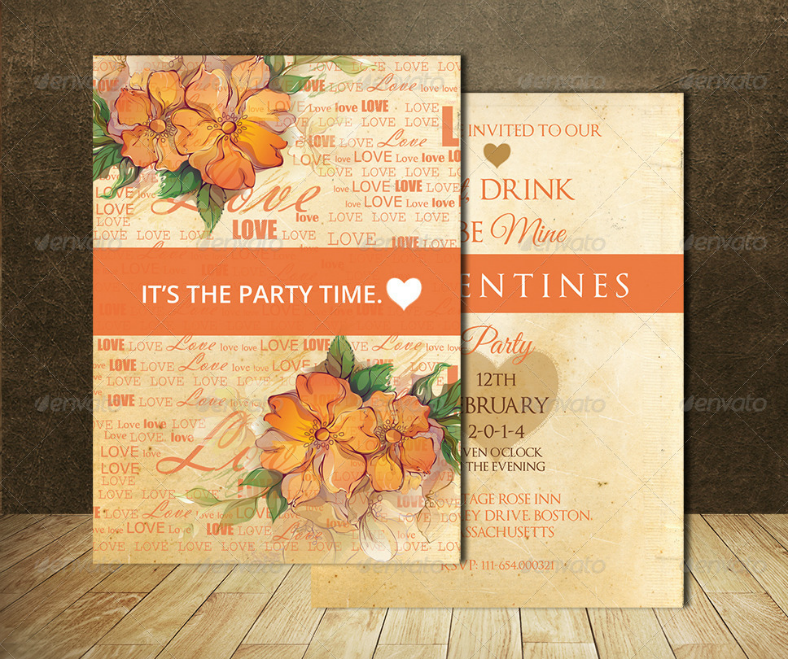 It is definitely party time with this floral Valentine’s invitation design that makes use of a warm color scheme because as they say, “Love people unconditionally and accept them warmly.” The background of this design is covered in text that spells love to really show and remind people what Valentine’s Day is about, and the hand-drawn flower illustrations complete the look of this wonderful invitation design in PSD. We all know that the heart is the universal symbol to represent love, but do you know how it connects to Valentine’s Day? It is more than just to symbolize love, and you’ll find that out below in the origin story of celebrating Valentine’s Day. 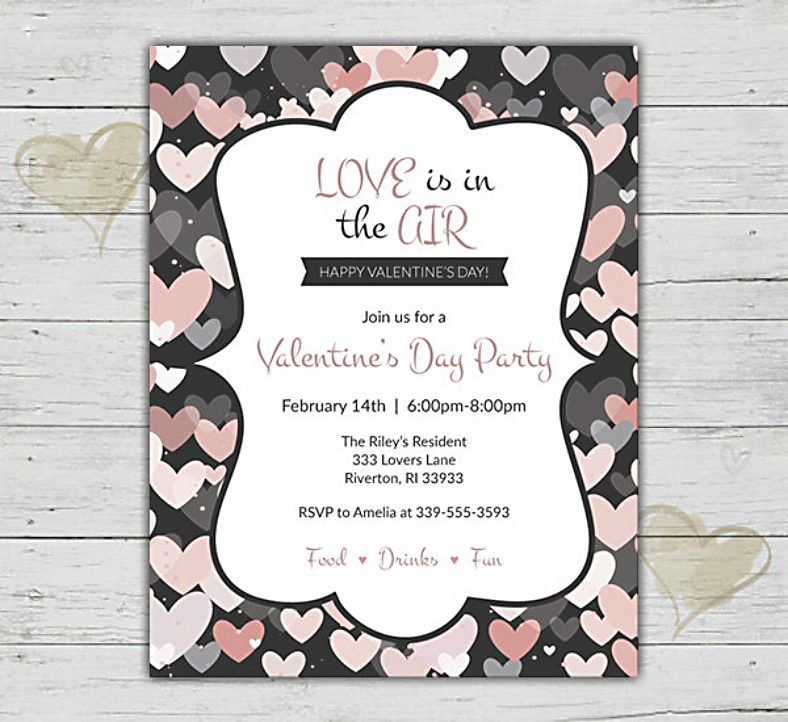 But with regards to this formal invitation design, the whole background is filled with a pattern of small heart symbols to really emphasize how meaningful it is to show even a simple act of love to others. According to Christians, Valentine’s Day is celebrated in honor of a saint named Valentine, who was martyred in February 14. Though this claim is believed to be accurate, historians also discovered that there were actually other Christian martyrs that shared the same name. 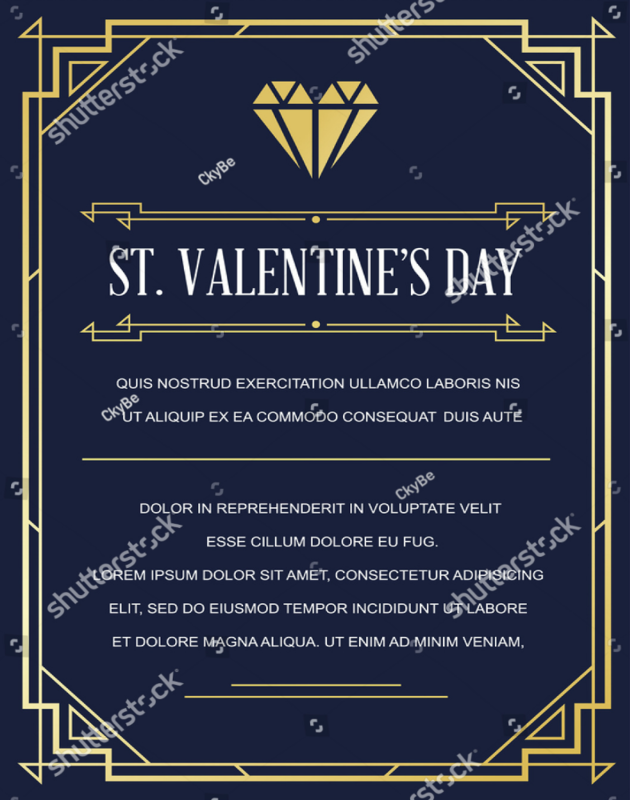 The name—which is derived from the Latin word “valens,” meaning strong and powerful—was very popular during the classical antiquity throughout the start of the Middle Ages, and there are about eleven recorded saints in the Roman Catholic Church that had the name Valentine. But to narrow it down, we would have to consider the date of martyrdom which is February 14, and there were two Valentines who were martyred on that day: Valentine of Rome and Valentine of Terni. Valentine of Rome was a priest who was born in 226AD and was martyred on February 14, 269. His body was buried somewhere on the Via Flaminia—which was an ancient road in Rome that became the ideal route for traveling between Etruria, Latium, Campania, and the Po Valley—and he was added to the calendar of saints by Pope Galesius in 496. On the other hand, Valentine of Terni was a bishop in Interamna who was martyred in 273 under the order of Emperor Aurelian. He too was buried on the Via Flaminia but at a different location from Valentine of Rome. 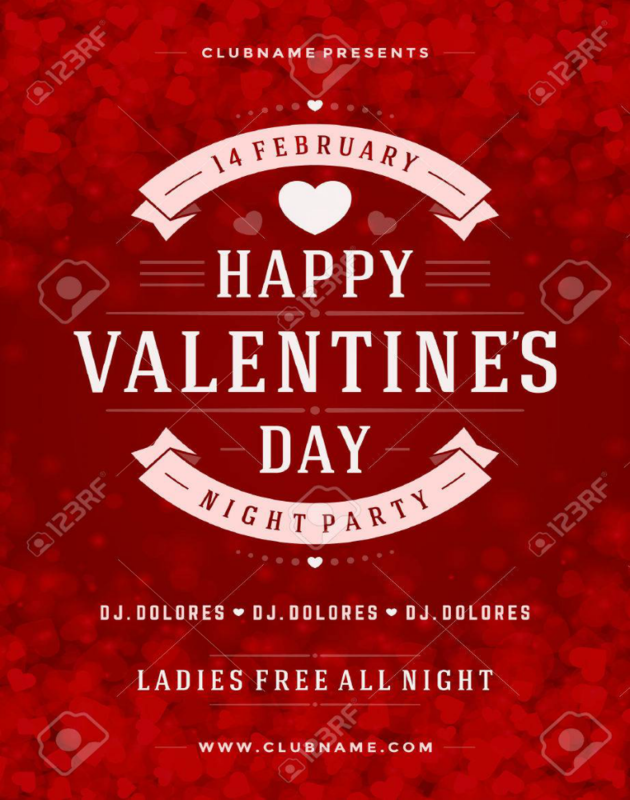 Though these are the only two Valentines that are very well-known all around Europe, a third one is mentioned in the Catholic Encyclopedia and was also martyred in February 14. There are various stories that connected St. Valentine to the celebration of Valentine’s Day, and one of which is the miracle that St. Valentine performed on the blind daughter of one of the jailers. 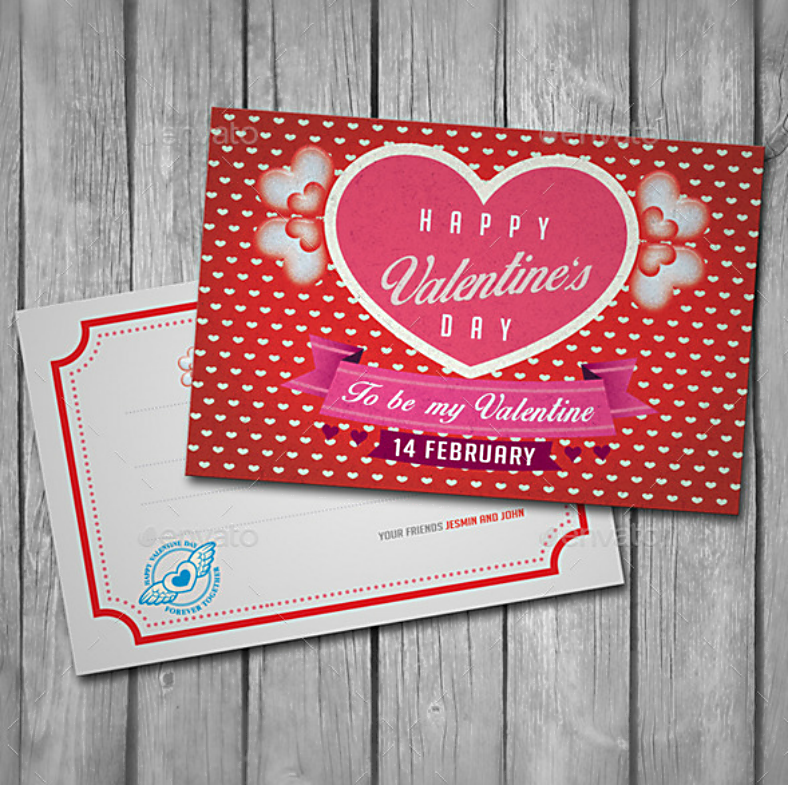 Just before his execution, it has been said that St. Valentine cured the girl’s blindness and left her with a note that stated “From your Valentine.” Another story claimed that St. Valentine performed Christian weddings in secret for soldiers who were not allowed to get married. In connection to this story, it is also said that St. Valentine cut hearts out of parchment paper and gave them to the soldiers and persecuted Christians to remind them of their vows and God’s love for them. 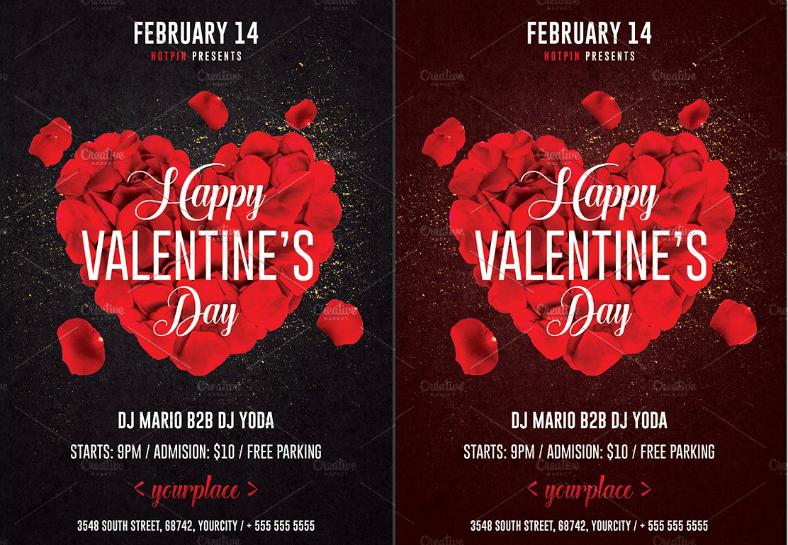 To those adult-themed Valentine’s Day celebrations commonly held in clubs, here is a perfect party invitation design for that type of event. Like all other designs, the back side of this invitation simply shows a row of fine lines meant for writing a message to the invitee. The front side is where it gets exciting, since it shows a scantily clad woman surrounded by flower petals that form an image of a heart. From the way the woman looks into the reader, it seems that she really wants the invitee to come to the party. What Is the Importance of Invitation Cards? 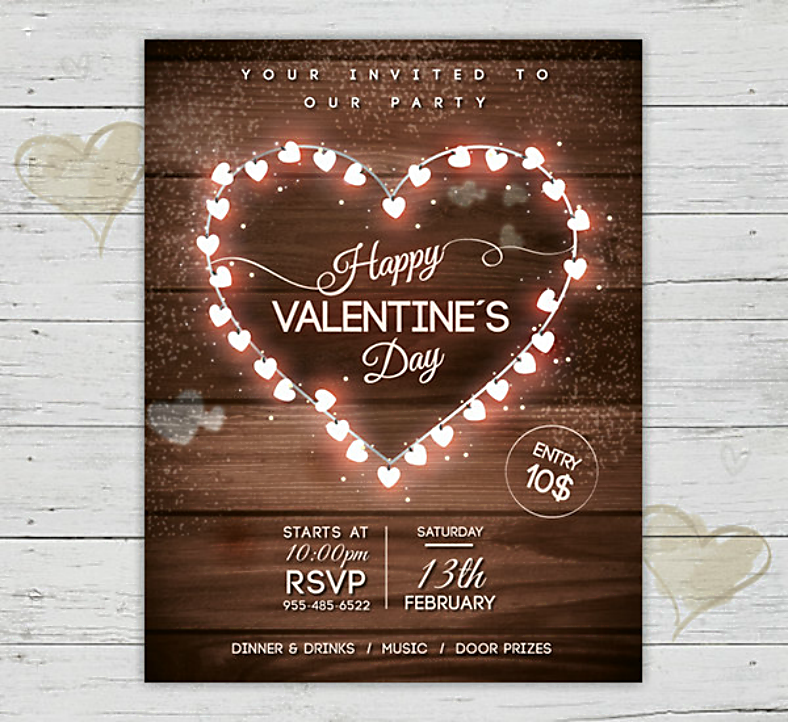 In a digital age that relies too much on the use of computers and paperless communication, which includes emailing and voice-over-internet-protocol services, the art of making invitations has slowly faded. This is a depressing reality since sending out invitations regardless of the type of event partly contributes to the recipient’s excitement and anticipation. Invitations are, in fact, essential for any occasion, and the host should never neglect them when trying to put together an event. 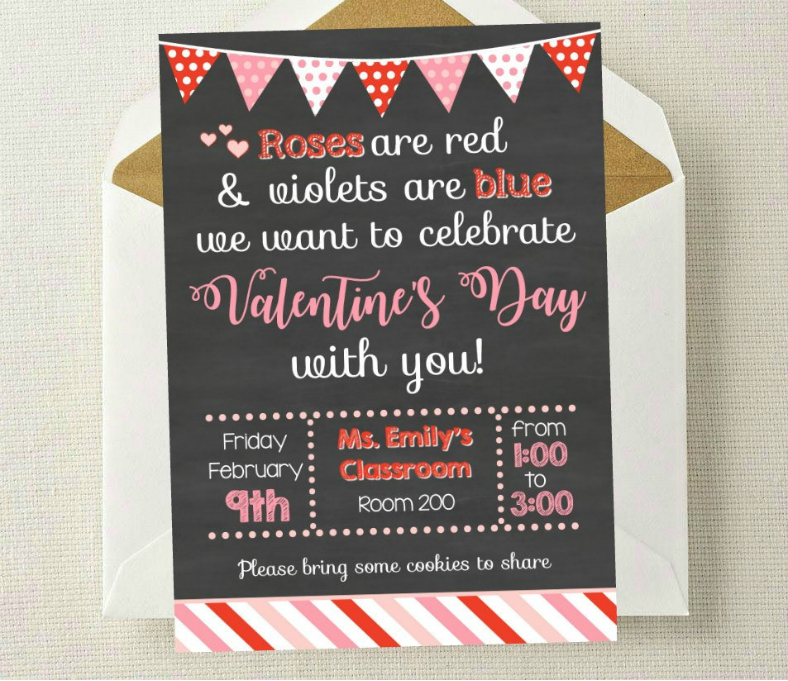 Even when there are other alternatives available, sending out formal invitations is probably the most proper way of telling people that they are expected to attend. One of the reasons why invitations are important is because they help in setting the tone, and will also provide guests with their first impression of the event. Some experts may even say that invitations could also serve as a deciding factor on whether a person will confirm their presence at the event or not. Invitations also encourage the host to be creative in the design, which is essential since these will also serve as their souvenir, and you wouldn’t want to give your guests a poorly-made souvenir that they can bring home. Making creative designs is no longer an issue since there are available design templates that can be downloaded from the Internet. These designs are already halfway finished and will only require you to make minor adjustments to them. While we can always invite people verbally, or through text messages and email, doing it through the use invitations is very different in a sense that it is more personal and it tends to be more informative. Aside from just containing the details of the event and the message that informs the reader that they are expected to attend, it also contains a list of some of the people who have important roles and even the flow of the event. That said, invitations are indeed important not only to the guests but also to the organizers themselves. 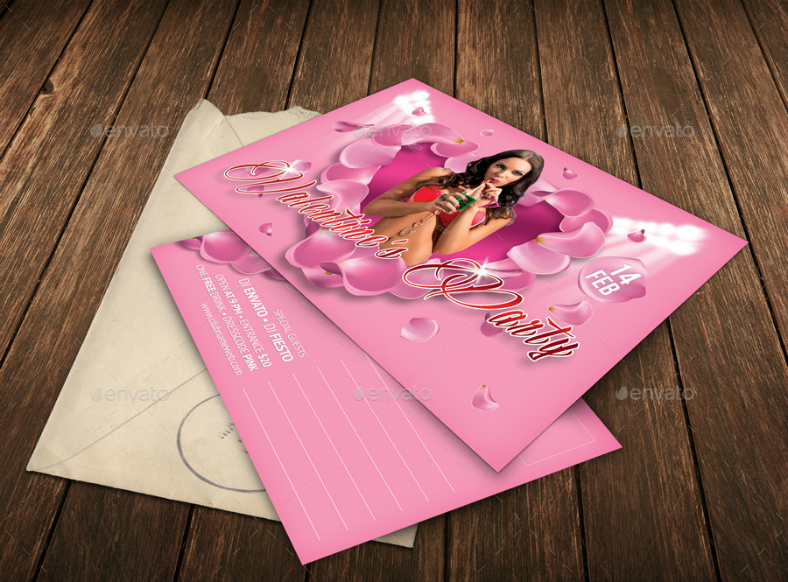 There are many types of events, and there are also many categories of invitation card designs. For an invitation to be effective, its should appropriately fit the type of event. This is especially applicable if there is a specific theme or motif incorporated to the event, and the style of the invitation design should match that. (These categories of invitation designs will be discussed further below). Aside from just choosing the style of the invitation to match it with the theme, choosing a typeface is also important since this is the one that provides the reader with the details. But a word of advice when choosing typefaces, keep it limited to a maximum of three: one for the header, another for the sub-headers, and a third one for the body. This way, it won’t make your design look cluttered. It is best to keep the content of your invitation card aligned at the center, it is traditional and has been proven to make the design look formal and organized. So, regardless of the theme of your invitations—whether vintage or modern—aligning the content centrally will prevent the design from looking messy. Depending on the type of event, the design should also draw inspiration from the preferences of a person or a group of persons. For birthdays, weddings, and other celebrations that are held to honor people, it is best to consider their preferences. For casual events, on the other hand, the preferences of the attendees may be considered instead. Proofread before and after printing. Check the spelling of the words and the names of the persons mentioned on the invitation. Traditional. You can never go wrong with a classic style, and this is the safest and most timeless style for both formal and casual events. This can be pulled of by using a script typeface, ornate decorative elements, and a slightly washed-out or less-contrasted color scheme. Art Deco. This style also has an old-school theme but has a rather hip and trendy feel to it. 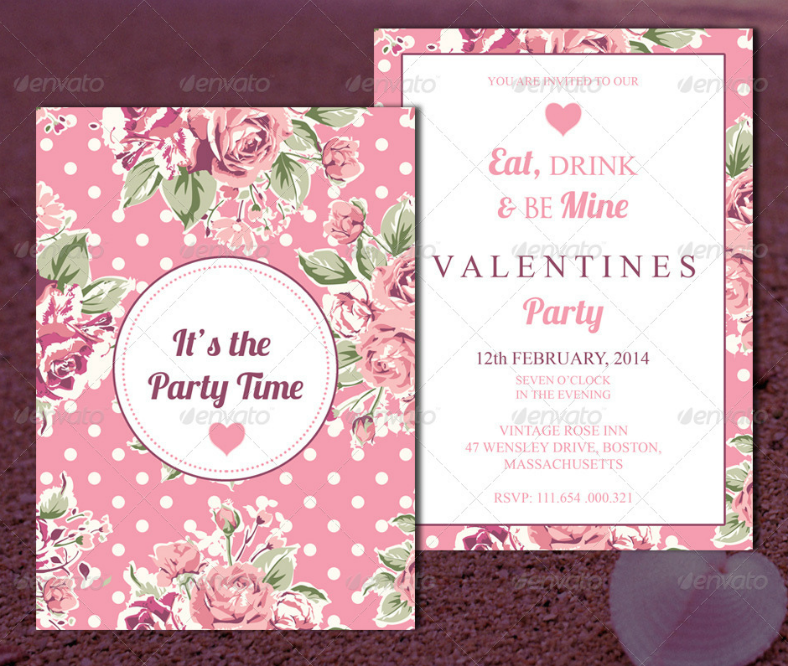 This vintage-inspired style resembles those invitations used for stage plays. The archetypal typeface for the Art Deco is the Broadway typeface, which was originally designed in 1927. Mid-Century Retro. While the Art Deco style borrowed from a theme that was widely popular during the 1920s, the Mid-Century Retro style takes inspiration from designs during the 1950s. But to make this style look trendy and relevant, a slight twist is applied with regards to its color scheme and some of its decorative elements. There is actually a day meant for honoring the teachers all over the world, and this teacher’s day is held every fifth of October. But why wait for that day when you can express how much your teachers mean to you on Valentine’s Day? 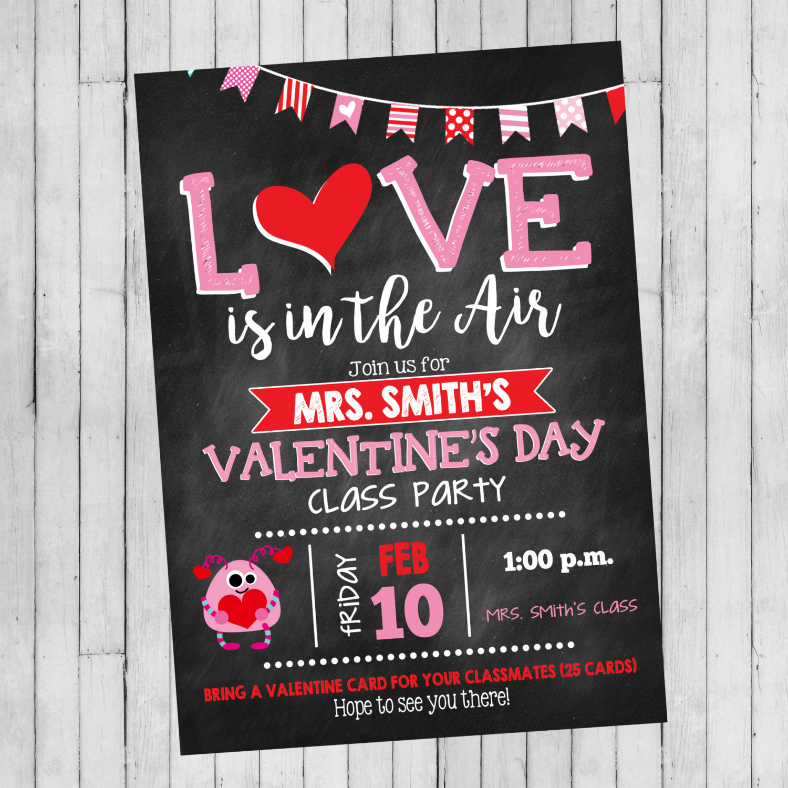 Above is an invitation design intended for celebrating Valentine’s Day in school together with classmates and teachers, and this chalkboard-inspired design effectively supports the theme of the event. 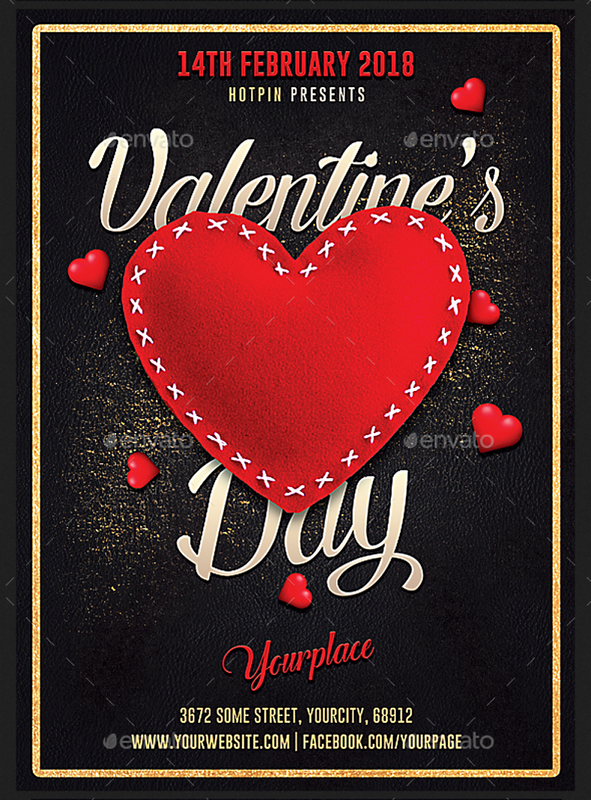 Valentine’s Day can be associated to various symbols or images ranging from red roses, chocolates, heart symbols, to the color red. This invitation design effectively incorporates some of those symbols to make it appropriate. The entire background is filled with heart symbols that also create a bokeh effect illusion, and the whole design makes use of a red color scheme to complete the look. 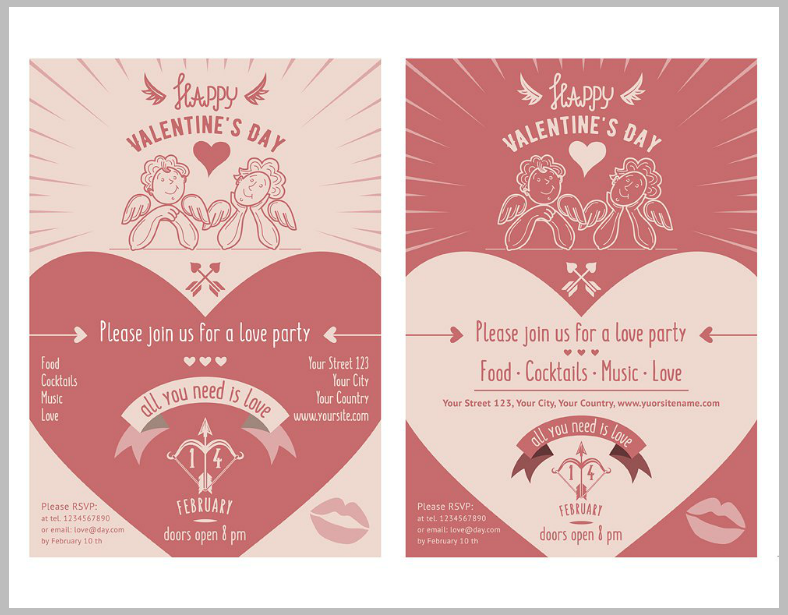 The simplicity of this event invitation design makes it appropriate for both formal and casual Valentine’s Day events. What can you say about the invitation designs that you have just seen? Were you able to find a particular design that you fell in love with? We hope you did since these were created wholeheartedly by some of today’s most dedicated graphic artists from all over the world. These designs were gathered from different sources, and we made sure to pick out only the best from among the best to make sure that you will be getting nothing but the most impressive designs that will make your every penny count. But aside from just being pretty and artistic, it is important that a design should also be easy to edit. 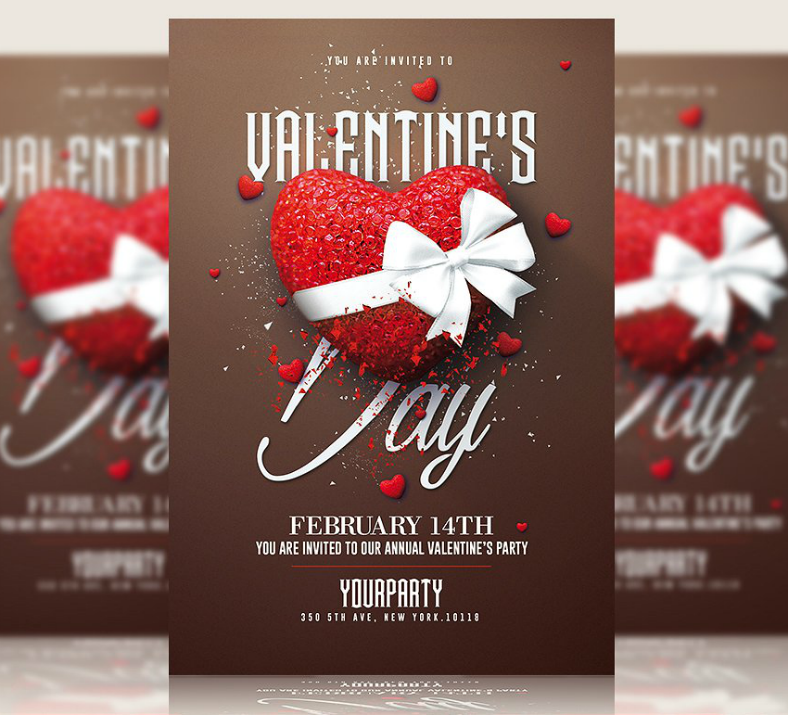 Thankfully, these Valentine’s Day invitation designs are not only easy but also fully editable, and there’s virtually no limit to what you are allowed to do with these designs. There’s more, since these designs are in vector format, they are fully capable of retaining their sharpness even after undergoing a lot of modifications. You will be getting those awesome features from our designs all for a very reasonable price, so why wait any longer? 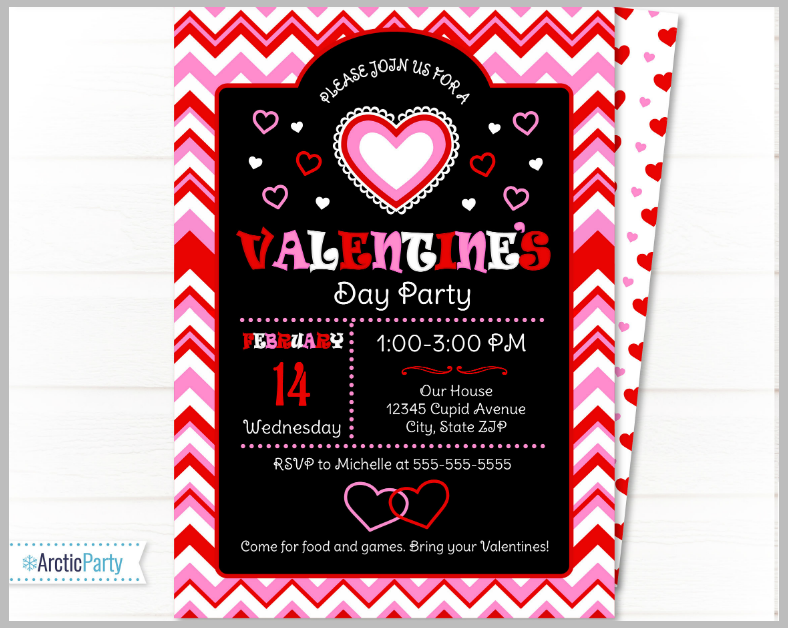 If you are already familiar with the steps to designing a party invitation, you might as well start downloading a design now!